Check our FAQ section to find the most frequently asked questions. How do I book a move with Dairyland Movers? We meet with you the customer on an agreed upon date and time that works with your schedule and create an itemized list, this process usually only takes about 30 minutes and we can answer any questions and get an accurate estimate for your move. You can simply log into your customer portal or contact us directly to easily mke any changes you’d like to make. Move dates are unpredictable and we understand that. All we ask is you let us know as soon as you know and we’ll gladly work with you and any changes in dates with no additional fees for date changes, and cancelations made 48 hours prior to your move all deposits are refunded. 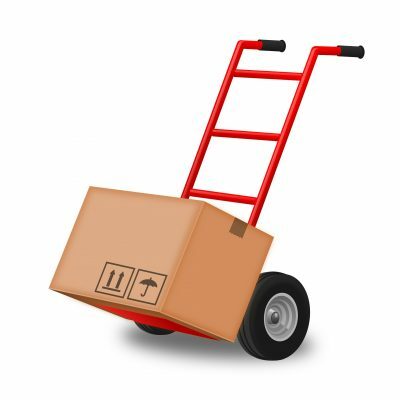 We offer a full packing service from start to finish. We can pack everything and unpack it for you, only pack some items, or give you tips and tricks to packing your items yourself to help save cost on your move. What if I want to pack myself? I need some advice on how to pack my belongings. Can Dairyland help? Absolutely, we can give you advice and help make a plan for your packing to make it easier for you and help keep stress levels low. The obvious ones are your utilities. A lot of people forget until later for drivers license, credit cards, banks, insurance companies, family and friends, etc. The one thing that can really save time and headache for the customer is calling a moving company sooner than later. Especially in the summer if someone calls a week ahead it’s going to be tough to find a credible moving company that’s not already booked. The best advice we can give is as soon as you know, let us know so we can save a date for you. We understand the date could change and we’re used to that, but getting an estimate and having your mover selected early will help the process immensely. There’s not a ton but they are important. We can’t haul your pets, children, spouses, etc. Propane tanks from grills, heaters, leaking fuel cans, aerosol cans, and anything explosive that leaks. We do carry the proper hazmat insurance to haul vehicles, snowblowers, lawnmowers, and anything with a motor and fuel/oil in it. We just prefer that they don’t leak anything that could cause harm.